Ready to put your feet up? 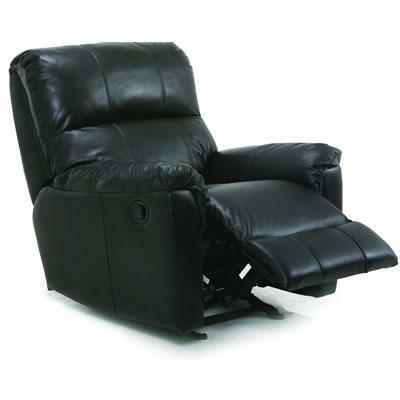 This leather-match glider recliner invites you to sink into comfort. 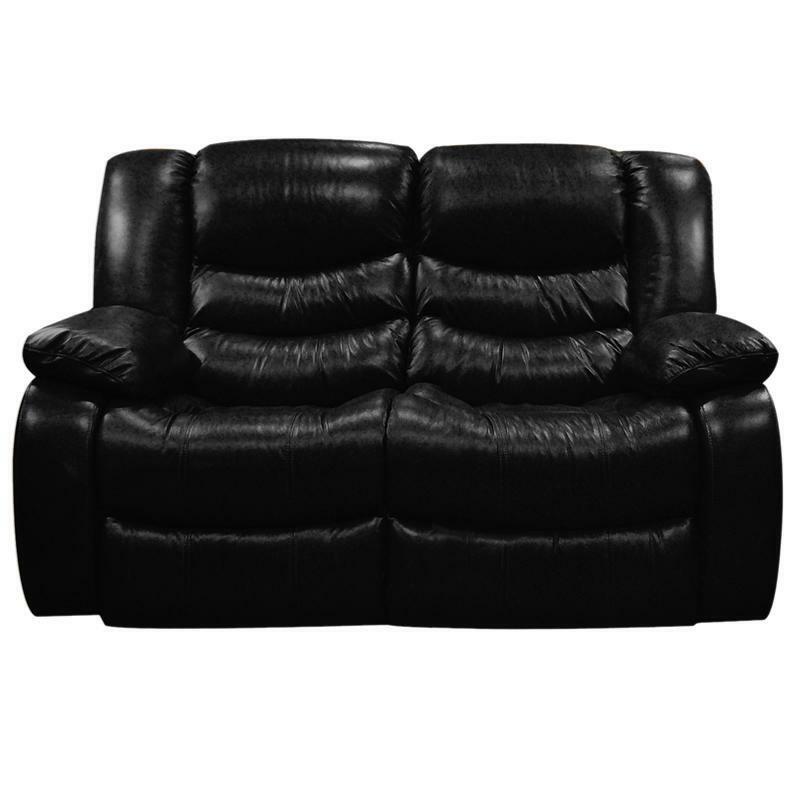 Features rich black 100% leather where the body touches and vinyl on the sides and back. Reclining Mechanism Legget and Platt Omega Motion Mechanism. Additional Information No sag suspension with seat zone support. Chaise reduces pressure points on legs. Seat cushions: 2.0 high density foam. Seat Foam channels for plush seating. Ready to put your feet up? 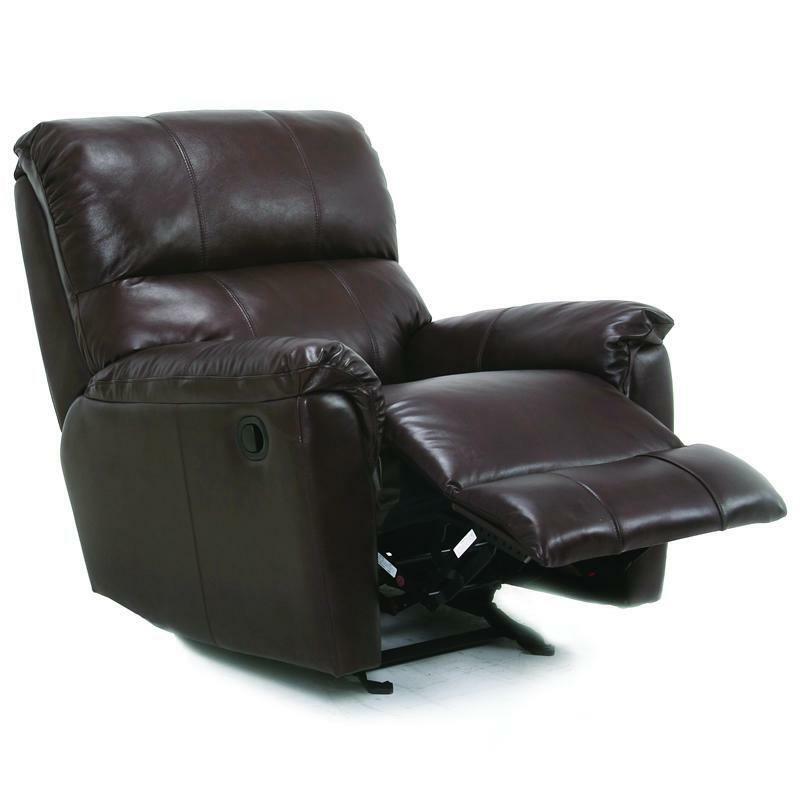 This leather-match glider recliner invites you to sink into comfort. 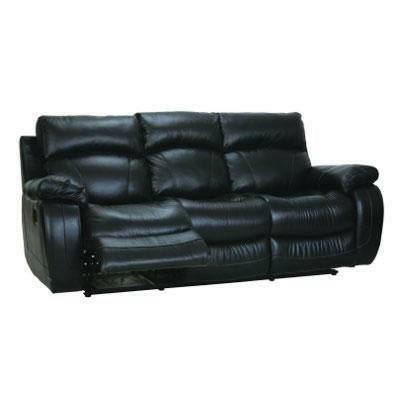 Features chocolate coloured 100% leather where the body touches and vinyl on the sides and back.